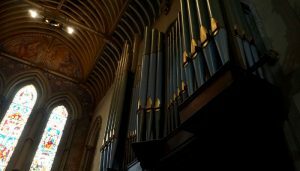 For a unique and unusual gift for the organ enthusiast why not adopt one of our magnificent new organ’s pipes? Why not leave a lasting legacy by making a donation and adopting one (or more!) 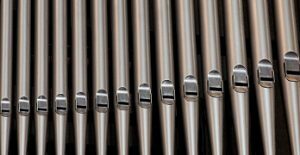 of the 3,719 pipes in the new organ? This is an opportunity that will not come around again! The above two suggestions may well be unlikely for individuals to sponsor. However, you may know of a business, organisation or charitable trust who would consider this investment in our organ. If so, please put us forward for consideration, or tell us who would be a good person to contact. There are opportunities for corporate sponsors or trusts to receive considerable publicity as well as involvement in special events. Please contact Frikki Walker, the Director of Music, or Michael Hitchman, who is heading up the Fund-raising team. Get in touch with us by email to organappeal@thecathedral.org.uk or by phone on 0141 339 6691. To make a donation and a pledge to adopt a pipe or any other part of the instrument, please click here to download, print and fill in the application form. The organ in St Mary’s has a fine pedigree, being built and developed over the years by some of the finest organ builders in Britain. Originally constructed in romantic style by William Hill in 1871, it was subsequently rebuilt and enlarged in 1909, by Harrison and Harrison. 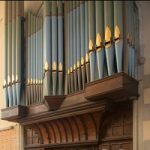 In 1909, it was one of the largest organs of its kind in Britain and still contains much significant and historic pipework. 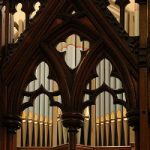 After such a long period of continual use the organ is now suffering from wear and tear which greatly limits its usefulness, accessibility and reliability, to the extent that it has become more and more difficult to manage and play. If this repair work is not done soon the organ will fall silent and be lost to current and future congregations at St Mary’s. Therefore, we have launched the Organ Appeal. Please click here to find out how you can make a donation and support this. St Mary’s is a very popular venue for choirs and orchestras from all over the world, not just Scotland, and the City of Glasgow, and this project will ensure that we continue to attract the best performers from all over the world to perform here, as well as supporting our busy programme of services, concerts and national broadcasts. 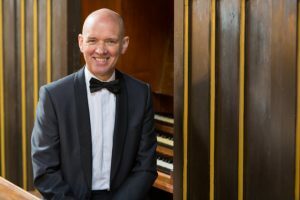 In spite of the increasing limitations of the organ, music at St Mary’s is internationally recognised with a reputation for excellence, through the quality of its mixed voice choir, which is one of the finest in the country, and through its regular broadcasts on BBC radio and television. A large part of the choral activities has been to educate and instruct our young choristers, many of whom have gone on to obtain Choral Scholarships at prestigious institutions. 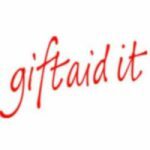 Over the last few years, we have had choristers go on to choral scholarships at at Trinity, Jesus, Selwyn, and Gonville & Caius Colleges in Cambridge, Merton College and Christ Church Cathedral in Oxford, as well as places at Gloucester Cathedral, and many Scottish Universities including Glasgow, St Andrew’s and Aberdeen. Several former choristers have also gone on to study singing at the Royal Conservatoire of Scotland, the Guildhall School of Music and Drama, and the Royal Academy of Music in London. 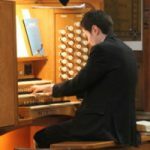 Our musical reputation has recently been greatly enhanced by our young Assistant Organist, Steven McIntyre, being elected a Fellow of the Royal College of Organists (FRCO) and winning the Limpus Prize for the best organ playing in the examination. 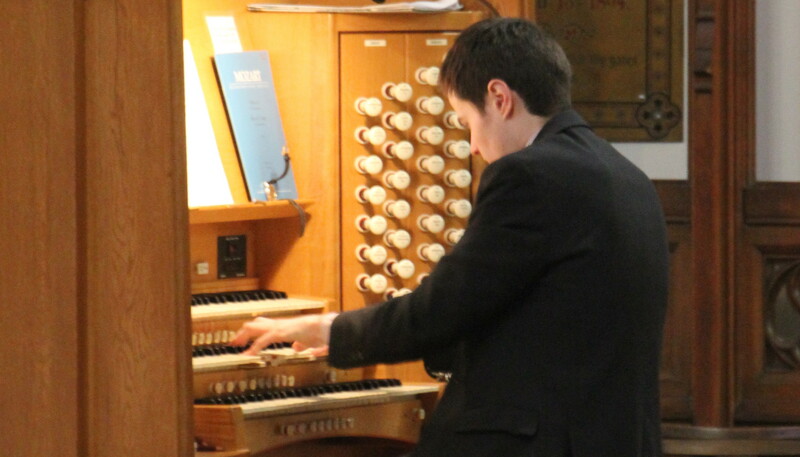 The renewed organ would continue to develop the relationships we have already built and be used as a tool for education and outreach, consolidating links with the Royal Scottish National Orchestra, Royal Conservatoire of Scotland, Glasgow University, Strathclyde University, the Royal School of Church Music and local schools. This is a once in a generation opportunity to secure, for the next 50 years or so, the legacy of an organ of international stature, not just for St Mary’s, but for the whole city of Glasgow, the wider community and, indeed for the whole of Scotland and beyond. 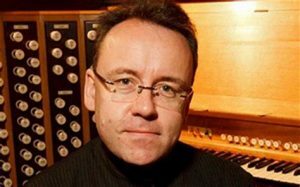 Dr George McPhee, MBE, Director of Music, Paisley Abbey – “It is with great delight that I write in support of the Appeal for the rebuilding of the organ of St. Mary’s (Scottish Episcopal) Cathedral, Glasgow. I knew the instrument well in the early 1960s when I used to deputise for Albert Healey, the organist at that time. 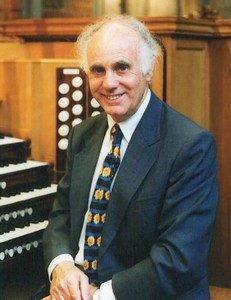 In these days I was aware of the organ’s superb tonal richness which admirably matched the acoustical properties of this glorious church. 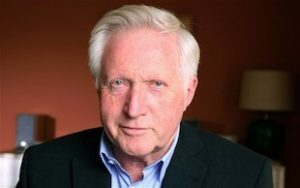 Unfortunately it seemed to me that much of the intrinsic Harrison & Harrison qualities were lost in inappropriate work which was carried out several years later. I am therefore excited to know that plans are being made to both restore and sensibly enhance the capabilities of this outstanding instrument. 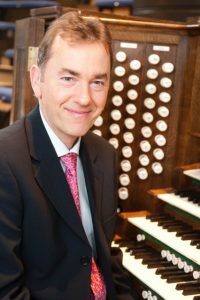 Thomas Totter, International Concert Organist, Birmingham City Organist, Organist of St Margaret’s Westminster, Visiting Professor of Organ, Royal College of Music, London – “The British choral tradition which is so carefully fostered by our cathedral musicians is the envy of the world. 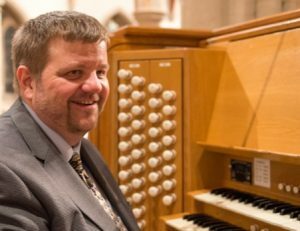 The British organ tradition is rather more taken for granted, and yet a pipe organ is as much at the core of cathedral worship as a choir. 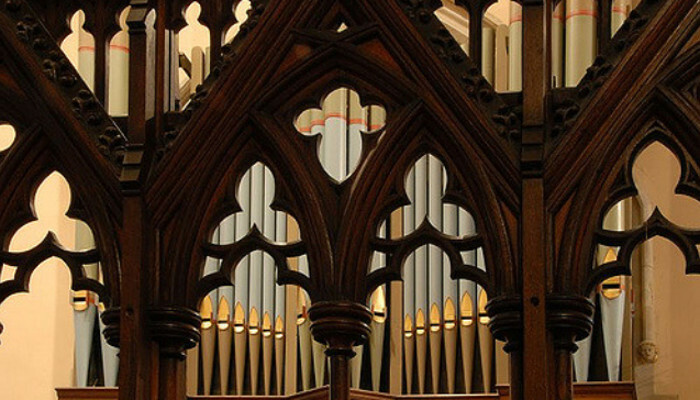 The organ at St Marys Cathedral was built in romantic style by William Hill in 1871. Since that time it has been rebuilt several times with mixed results, and the time has come for a more radical approach. Harrison and Harrison’s imaginitive proposal enhances the organ both tonally and visually whilst respecting and amplifying its original character. After extensive research and quotes from a variety of builders, we have chosen Harrison and Harrison of Durham to undertake the work required. We have chosen them for the impeccable quality of the craftsmanship of their work, their reliability and longevity as a firm, and their imagination in meeting the requirements of the customer. They will restore, rebuild and renew the organ over a period of a year, ensuring it is fit for the future of our Cathedral. 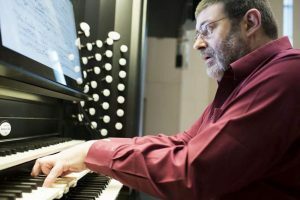 This scheme will hugely improve the dynamic range of the instrument, from the subtlest quiet sounds to the most magnificent full organ that will properly project into the church for an up to 300-strong congregation, support a Symphonic Choir, or underpin the most thrilling orchestral music, as well as play convincingly the solo organ repertoire of all styles and periods. It will provide a stunning visual feature in this significant, and beautiful Victorian Gothic Cathedral. The quoted cost of this major yet essential project is £1,200,000. Any questions can be answered by Frikki Walker, the Director of Music, or by Michael Hitchman who is heading up the Fund-raising team. Visit this appeal website to find out more as we progress, or get in touch with us by email to organappeal@thecathedral.org.uk or by phone on 0141 339 6691.